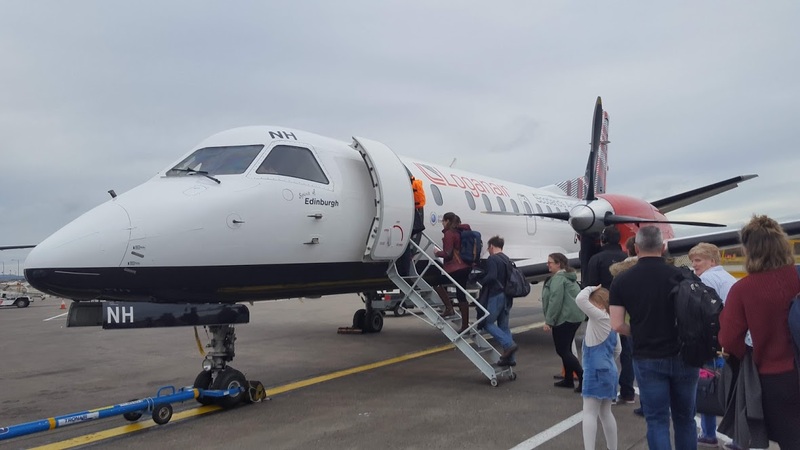 Since my Logan Air touchdown, Orkney has done its best to keep me busy. 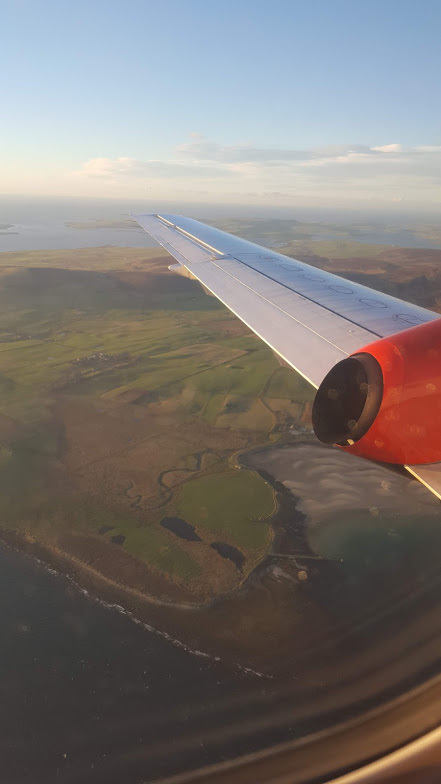 The flight itself (in the smallest plane I’ve flown in to date) was stunningly scenic as was the runway. 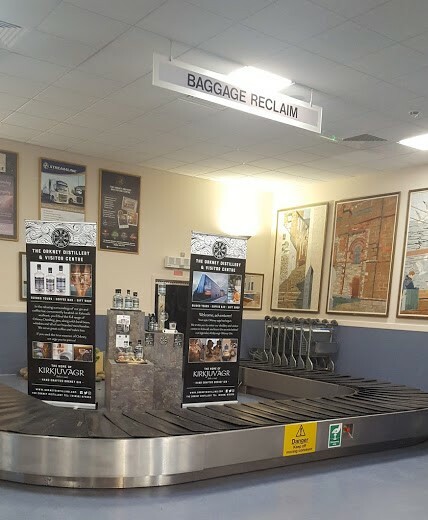 The airport was also charming with plenty of creative flair and (possibly) the world’s simplest baggage reclaim. I was picked up in a comfy Dial-a-bus and driven through the rolling fields to Kirkwall. 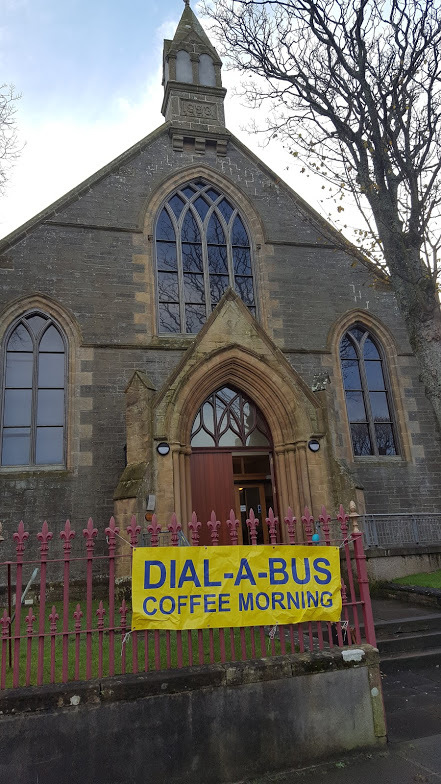 Serendipitously, I was in town in perfect timing for the Orkney Disability Forum bi-annual coffee morning. 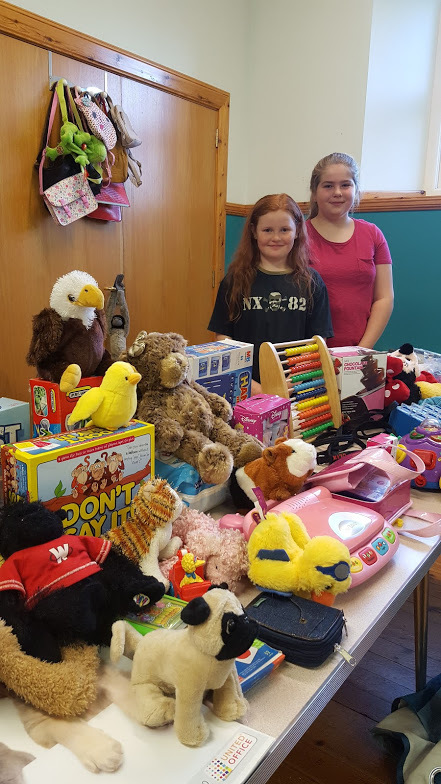 This is an important Orkney community fundraiser. For those of you reading this who didn’t grow up in a British village, you may be asking what is a coffee morning? This event is a British institution much beloved by fundraisers. The concept is simple – visitors arrive and pay around £3 for entry which grants a delicious plate of home-baked goods and hot beverages. They then sit and enjoy and are also invited to peruse the assorted stalls. The classics being a table of home-baked goods, bric a brac (second hand treasures) and a raffle. 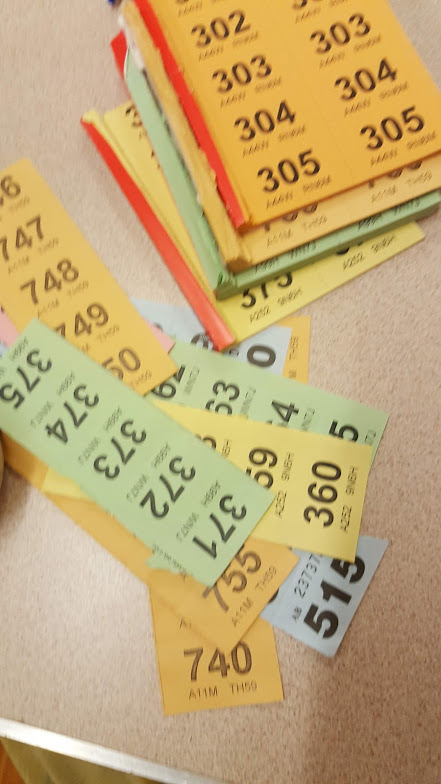 A raffle works by people buying a set amount of tickets for £1 a strip for the chance to win donated prizes then they get a strip for future reference. The twin is folded and ripped up and put in a receptacle to be later picked from. The raffle became my domain as I helped in the crucial task of preparing the tickets for random selection. Speed and determination were needed as the raffle was very popular. 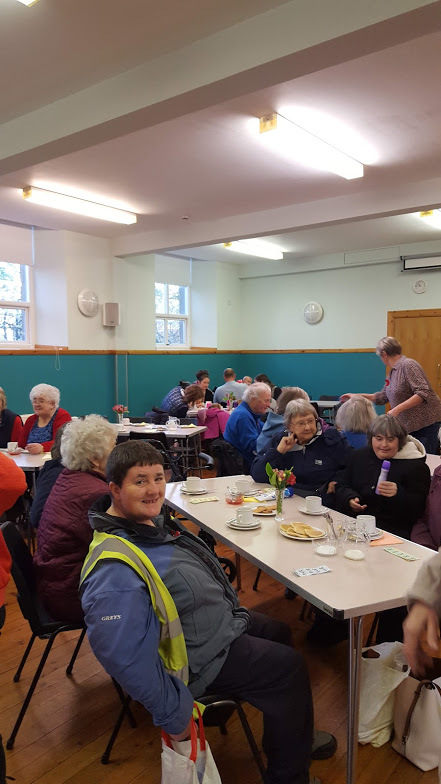 I enjoyed meeting many local people and trying the bakery at this Orkney community fundraiser. 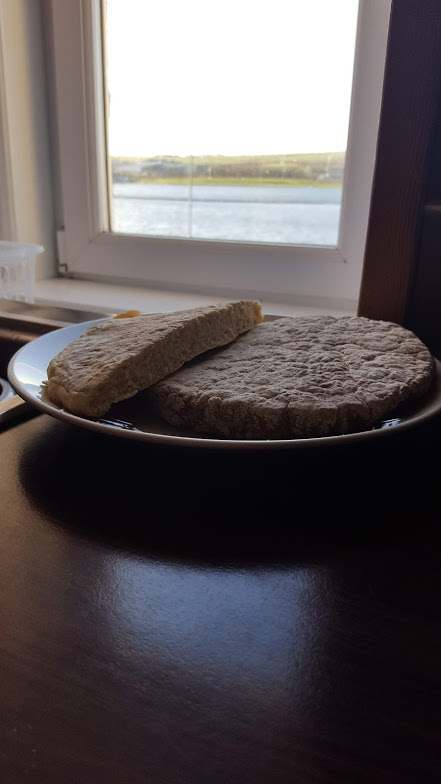 This included the local cuisine: the classic floury bannock and the very special Bere Bannock. 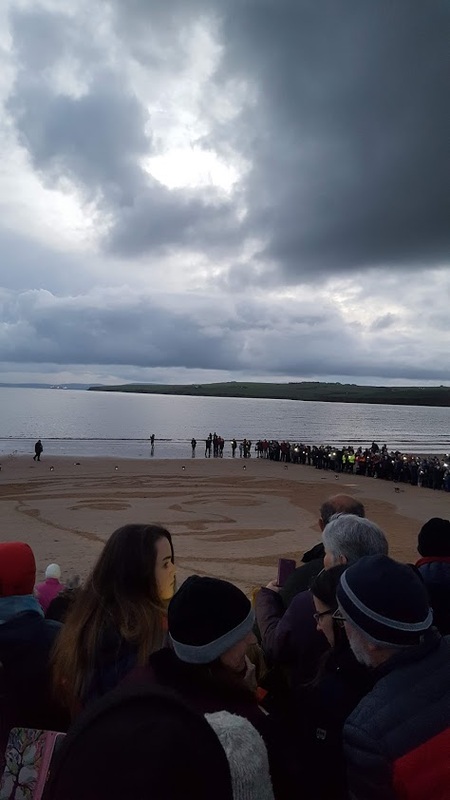 Overall this Orkney community fundraiser was a resounding success, bringing in £630 for the Orkney Disability Forum!!! The rest of my day was spent wandering around the quaint streets of Kirkwall and checking out the harbour. Despite the fierce gale I enjoyed being out in the sunshine. That evening, serendipitously I was treated to the postponed fireworks and bonfire. 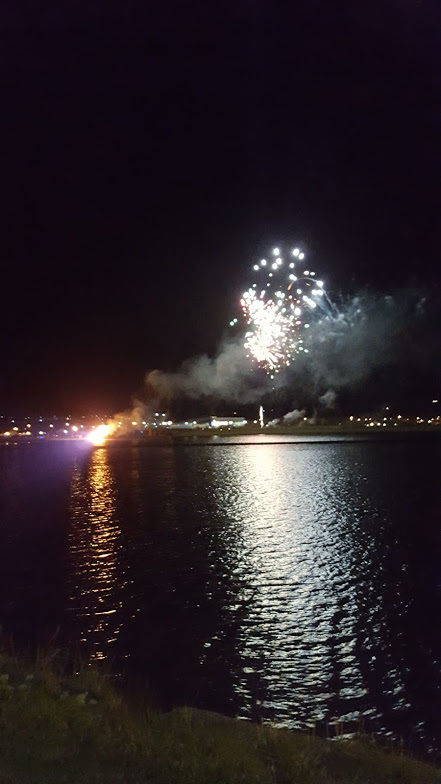 As the fireworks punctuated the sky with dazzling colors and I watched the glittering reflections on the Peedie Sea, I felt very lucky to be here.